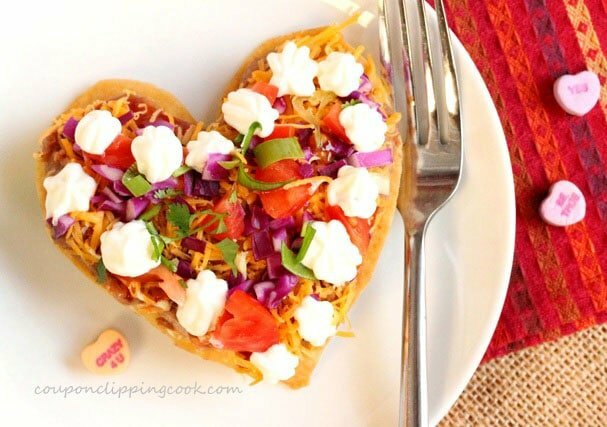 Surprise your Valentine with these easy to make tostadas that are almost too cute to eat! Almost. 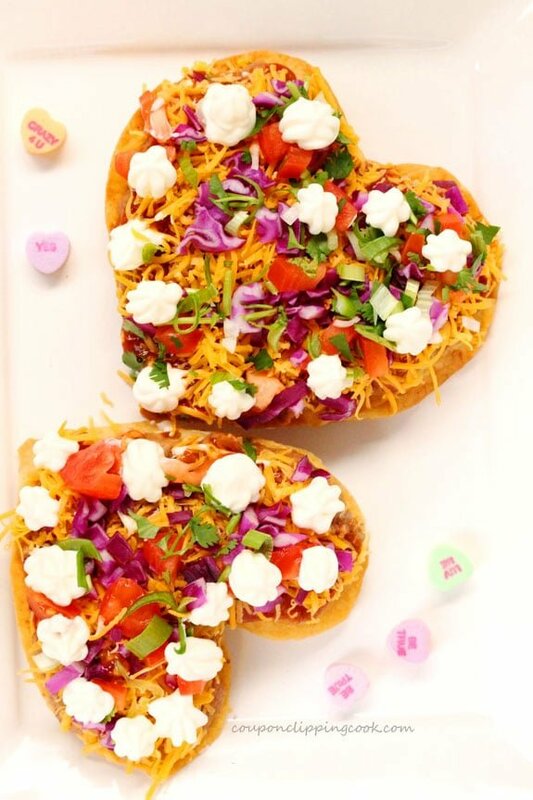 If you want to surprise your sweetheart with something fun, different and super tasty, these Valentine tostadas are just the thing. They not only taste wonderful but look appetizing too. 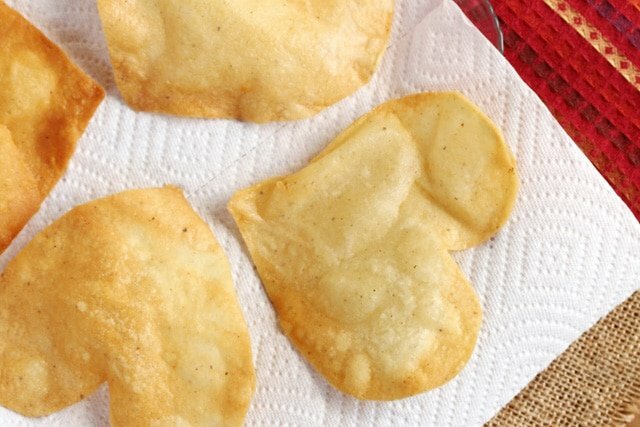 These tostadas get their start with corn tortillas that are cut into hearts and lightly fried to a crispy crunch. 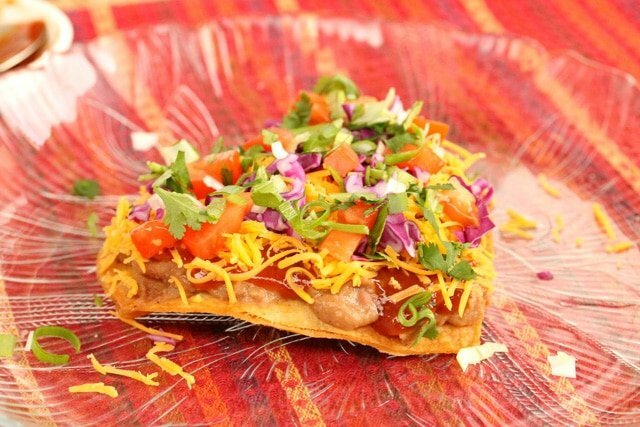 The crispy tortillas are topped with tostada ingredients in layers to give them a colorful and festive look. The color combination of bright yellow/orange cheddar cheese and small pieces of purple cabbage is so pretty together. My favorite part of these tostadas (besides eating them) is the sour cream that’s piped around the edges to look like lace. 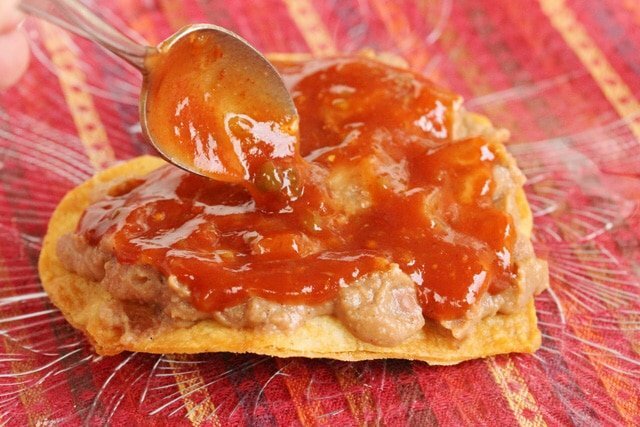 These tostadas make a wonderful meal or even an appetizer. 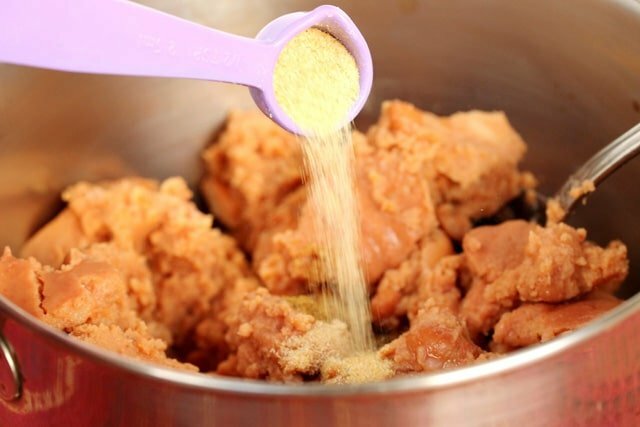 Stir together and warm on low to medium heat. 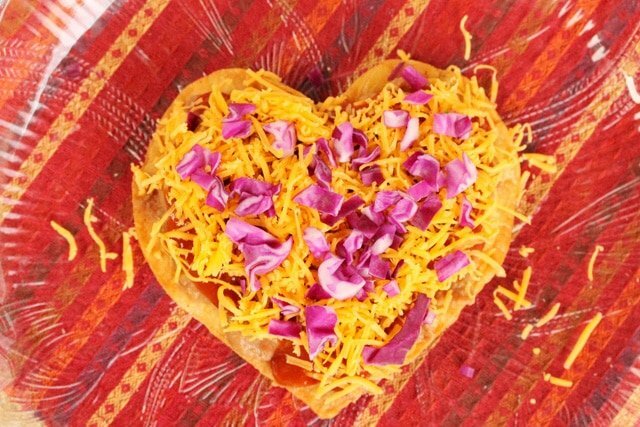 cut each corn tortilla into the shape of a heart and set aside for a moment. Heat a small skillet on medium heat and add the canola oil. 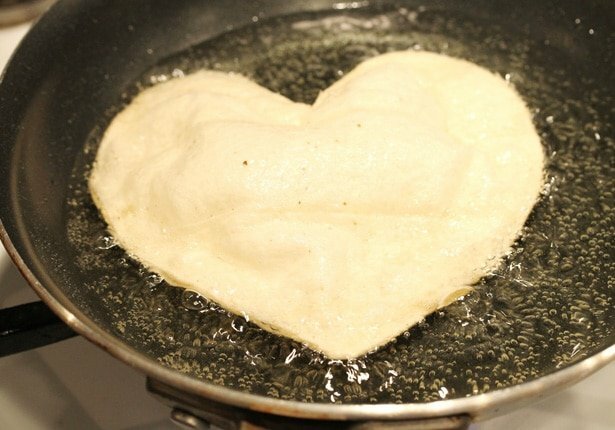 To test if the oil is hot enough dip just an edge of the tortilla in the oil and if it sizzles add the entire heart tortilla. 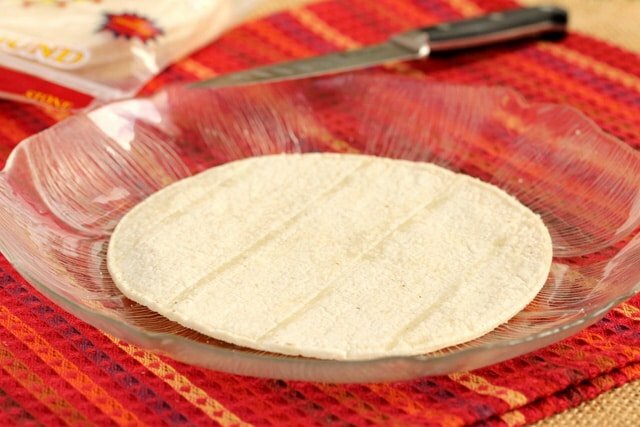 Cook until each side of the tortilla is golden brown (about 3 or 4 minutes). 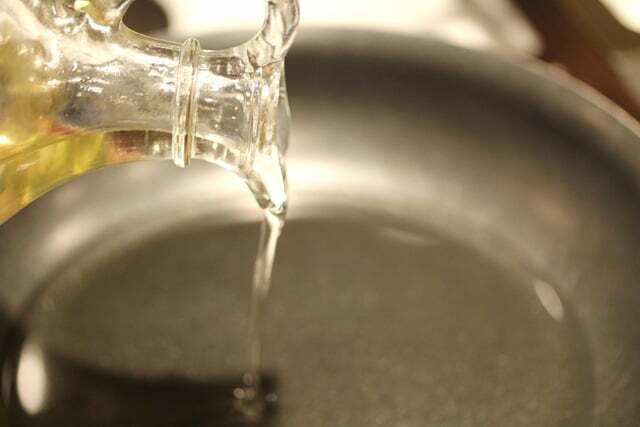 Remove the tortilla from the oil and set on a paper towel-lined plate. Repeat until all tortillas are cooked. Set aside. purple cabbage and lettuce (optional). 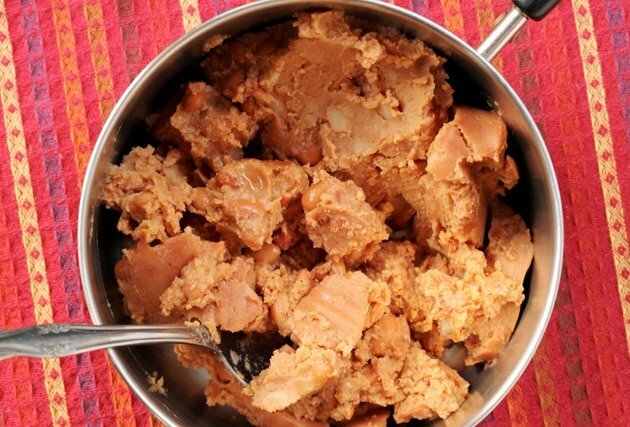 Then spread the warm refried beans on top of the tortilla shells. 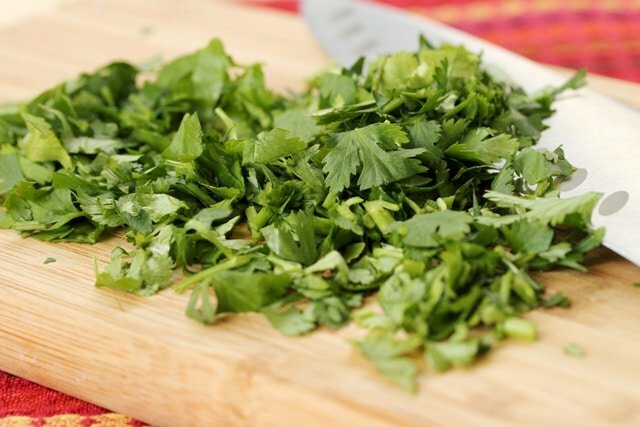 tomatoes, cilantro, and green onions. 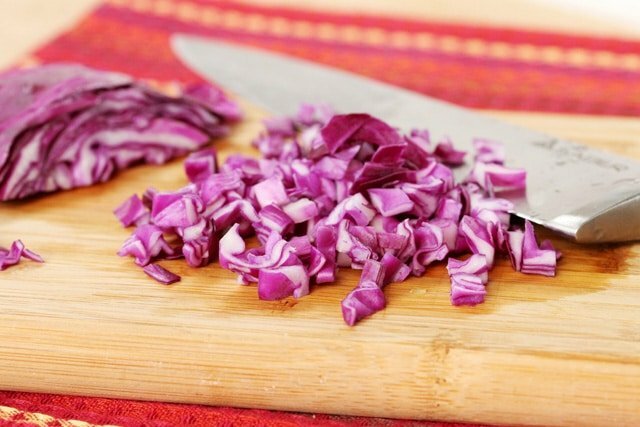 Also add lettuce if you like. Then add the sour cream to a pastry bag with your favorite decorative tip. 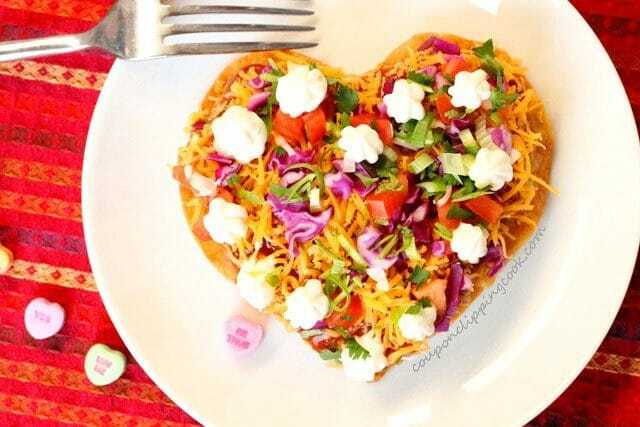 Pipe the sour cream around the outside edges of the tostada so that it resembles the look of lace. 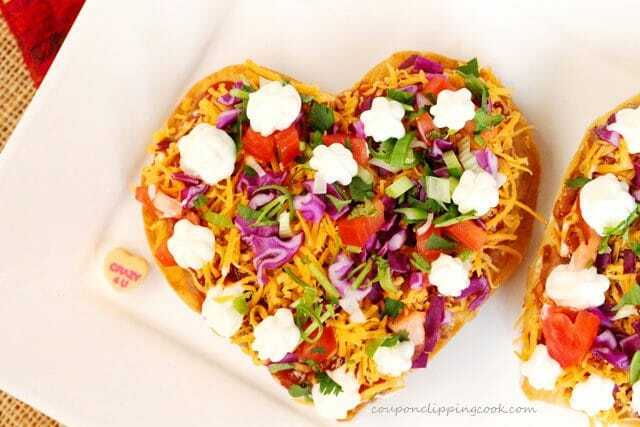 Or make any decoration with the sour cream you would like. 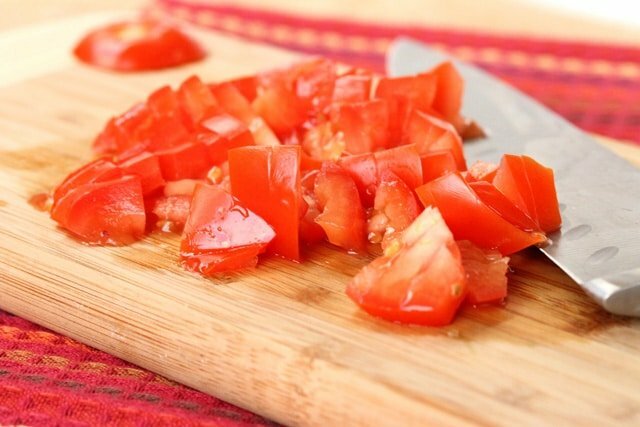 Serve warm or at room temperature for a meal or appetizer. Then enjoy each crispy bite. 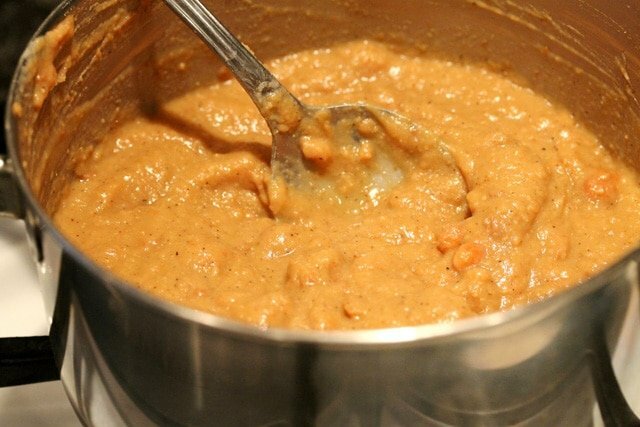 In a medium size pan add the refried beans, cumin, garlic, pepper, and water. 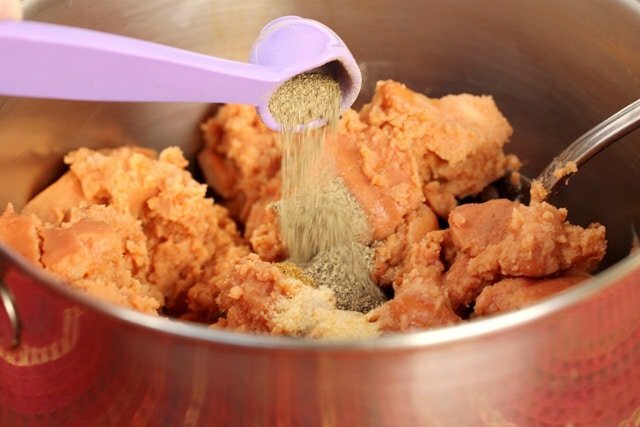 Stir together and warm on low heat. 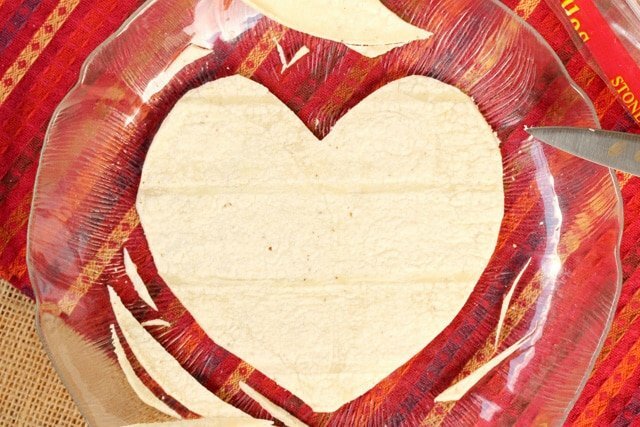 Cut each corn tortilla into the shape of a heart. Heat a small skillet on medium heat and add the canola oil. 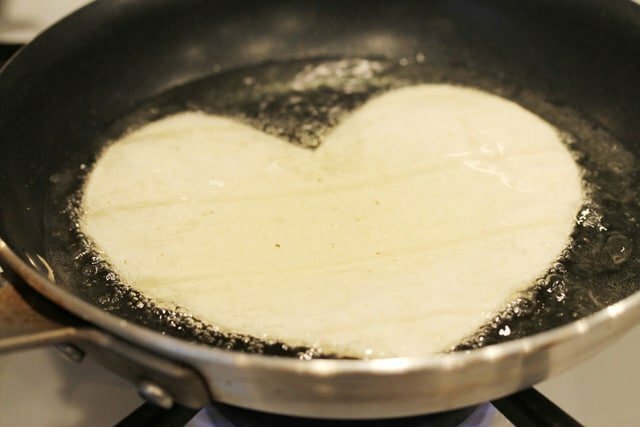 To test if the oil is hot enough dip just an edge of the tortilla in the oil and if it sizzles add the entire heart tortilla. 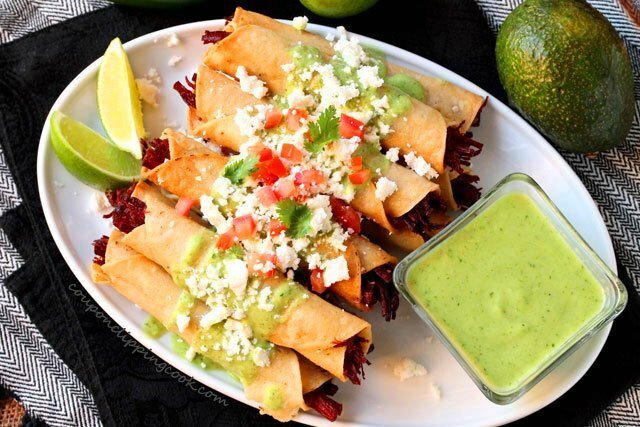 Cook until each side of the tortilla is golden brown (about 3 or 4 minutes). 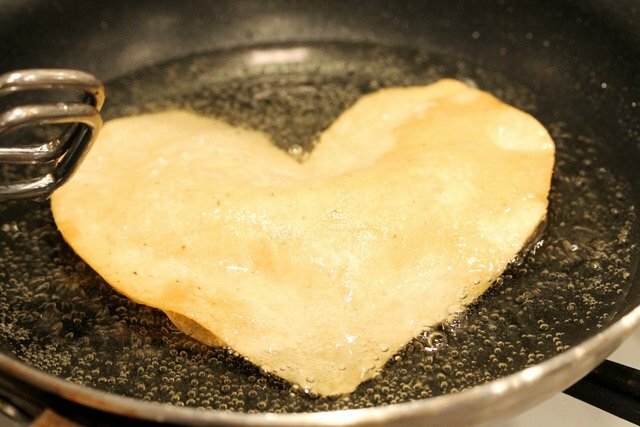 Remove the tortilla from the oil and set on a paper towel-lined plate. Repeat until all tortillas are cooked. Set aside. 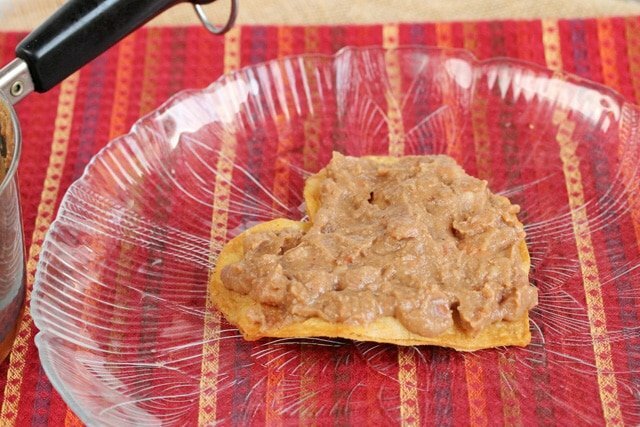 Spread the warm refried beans on top of the tortilla shells. 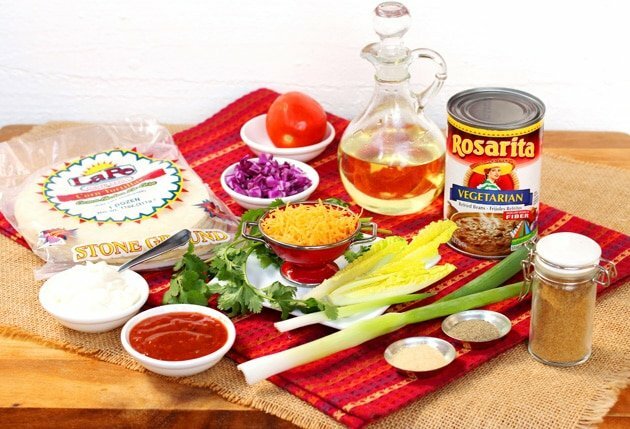 Next spread the salsa on top of the beans and top with the cheese, purple cabbage, tomatoes, cilantro, green onions, and lettuce (optional). 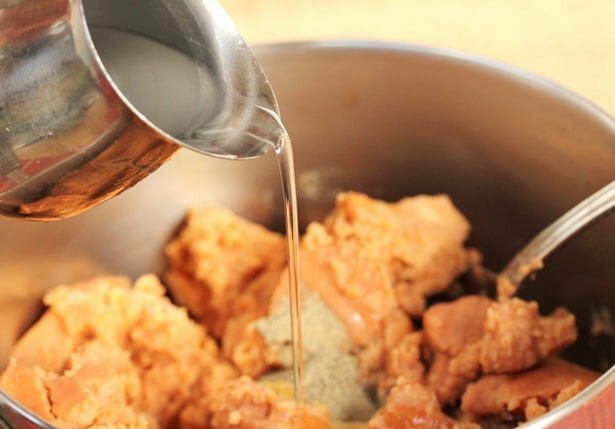 Add the sour cream to a pastry bag with your favorite decorative tip. 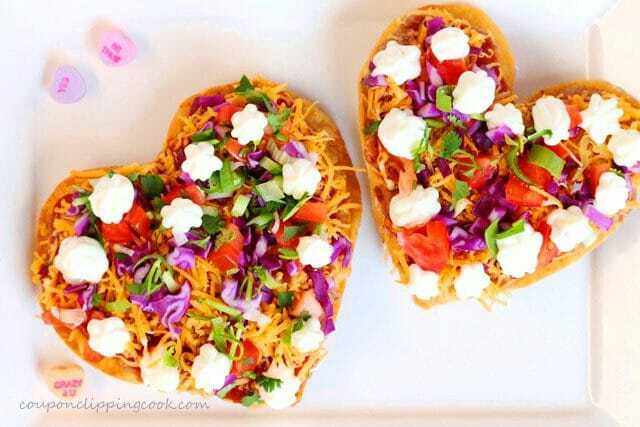 Pipe the sour cream around the outside edges of the tostada so that it resembles the look of lace. 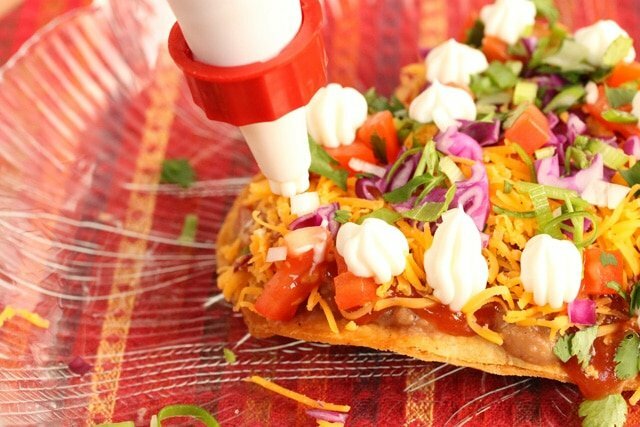 Or make any decoration with the sour cream you would like. 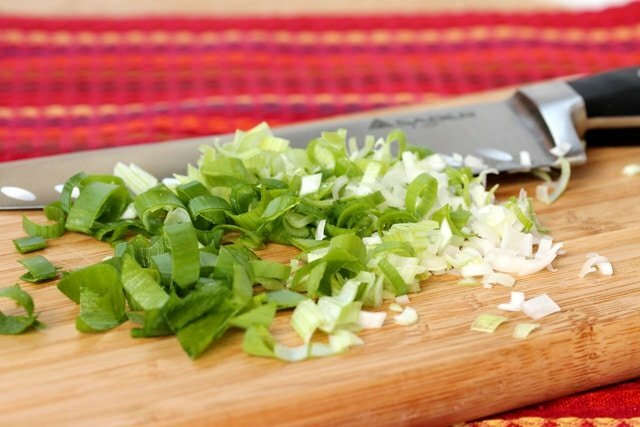 Serve warm or at room temperature as an appetizer. 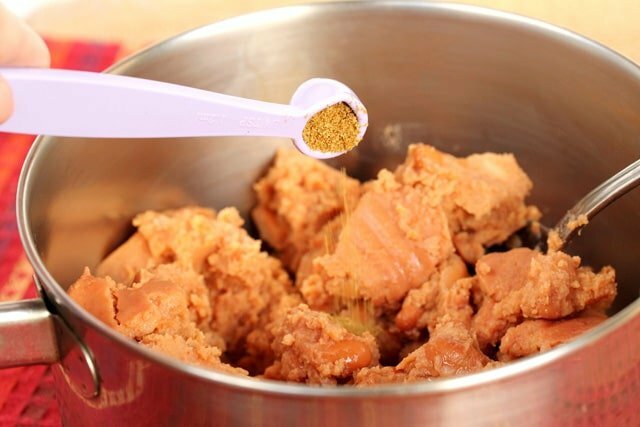 This recipe was originally posted on February 2, 2013. Hi Mimi, so glad you like them. Thank you very much for stopping by and have a great day! Hi Carole, thank you very much! These are just too cute. How clever. We have a party going on today. What’d You Do This Weekend? 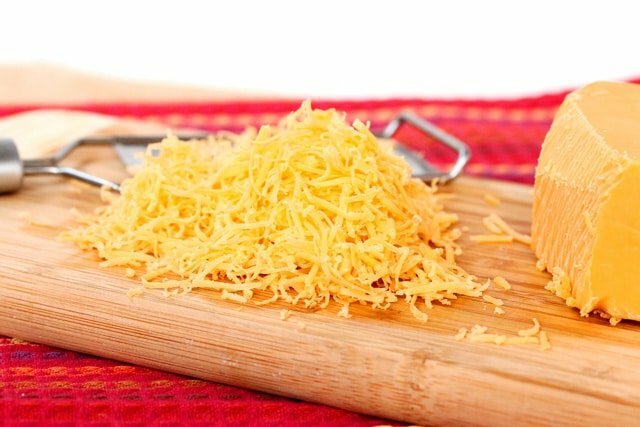 I’d love it if you would bring these over. Hi Linda, so glad you like them. Thank you for stopping by!